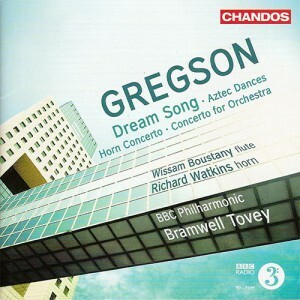 This latest volume in the ongoing series of Edward Gregson’s music is, like its predecessors, distinguished by outstanding orchestral playing and recording quality which is, quite literally, state-of-the-art…..I hope this exceptionally fine and totally committed performance [of Dream Song] will spur further performances of music which certainly deserves wide dissemination. There really is something for everyone in this disc – glorious Arnoldesque tunes, stimulatingly serious expression, brilliant orchestration: a very Gregsonian cocktail. Enjoy! Dream Song is another strongly symphonic and tightly argues structure of substance. It packs a wealth of invention and deeply felt expression into its twenty minute span.